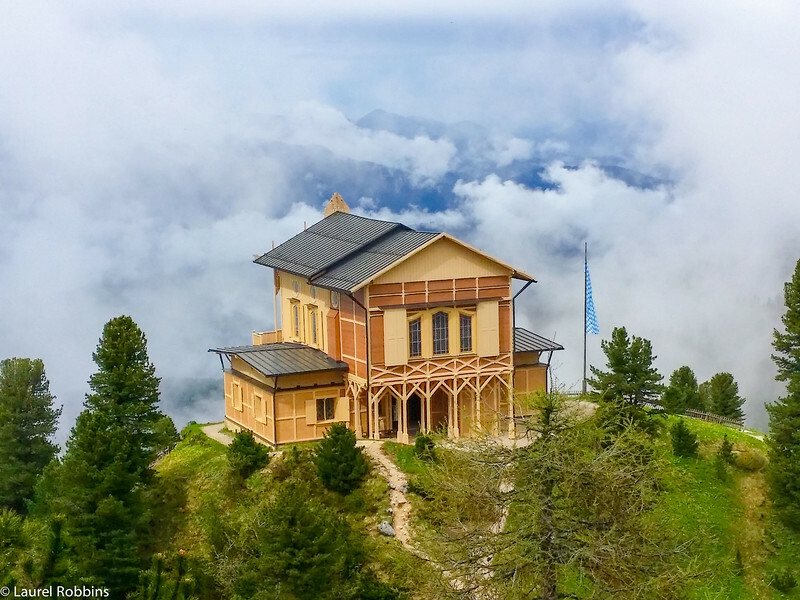 Follow in the royal footsteps of King Ludwig II on the Königsweg, (King’s Way) as you make your way to his mountain retreat, the Schachen House in the German Alps. There are several ways that you can do this hike but the one described here is the one from Elmau via the Wettersteinalm following the Königsweg (King’s Way).Your hike starts in the parking lot behind Hotel Schloss Elmau (pictured above). It’s free to park there but you’ll have to pay a toll to reach the parking lot. From there, you’ll hike along a forest path along the Koitaboch. After hiking approximately half the route, you’ll arrive at the Wettersteinalm. You can grab a second breakfast here or just enjoy observing the cattle who spend their summers in this idyllic pasture. You’ll continue on the Königsweg, the King’s Way, a gravel road where King Ludwig II used to ride his horse up to reach his mountain retreat. You’ll pass the Wetterstein Alm while hiking to the Schachen. After approximately another 1:45 hours of hiking, you’ll reach the highlight of this hike, the Schachen House. Continue a bit further up the saddle for spectacular views over the Schachen House and the Wetterstein Mountains. Stop for a refreshment at the Schachenhaus Hut and either return the same way or through the valley. You can return the same way you came on the Königsweg, or take this gorgeous alternative route. Alternative hiking route to/from the Schachen. 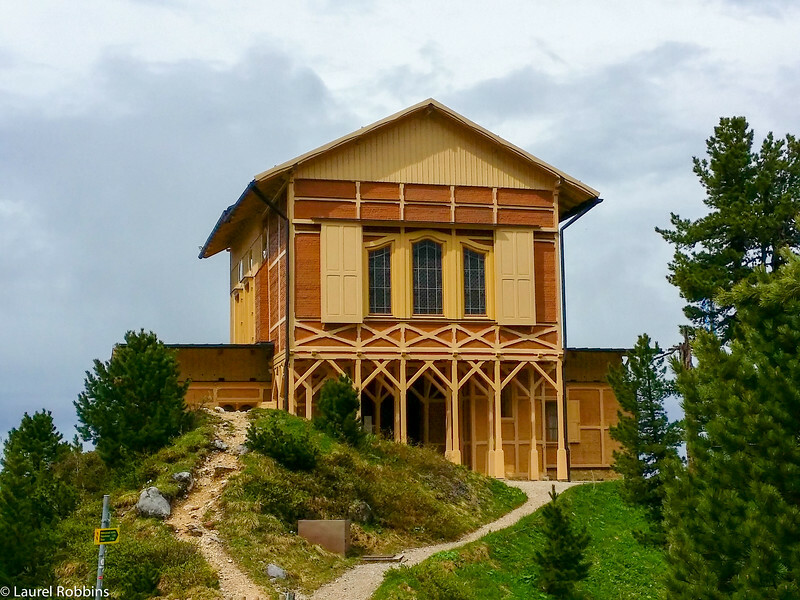 The highlight of this tour is the King’s House on Schachen which offers one of the best views found in the entire German Alps. In comparison to Neuschwanstein, King Ludwigs II’s most famous castle, it’s underwhelming from the outside. However, its still impressive given its location at 1866 m on top of a mountain. It was built in 1869 in the Swiss style, a much simpler style, than the king’s usual preference. You can visit the King’s House on Schachen with a guided tour. Check the opening times here. The King’s House on Schachen is built in a simple Swiss style. The ground level is very plain, especially for King Ludwig II known for his eccentric design tastes. I found myself disappointed as I’d heard so much about the Schachen House. That all changed though as I headed upstairs to the luxurious Moorish Room which takes up the entire upper floor. Bright colours bring it to life in comparison to the dull lower floor. The Turkish room is furnished with long low sofas for relaxing and naturally a fountain in the center. Overlooking the King’s House on Schachen. Another highlight of this tour is the Alpine Garden. You’ll find plants and flowers from Bavaria and throughout the world. It was closed when I was there so I didn’t have a chance to visit but it adds another unique element to this hike. View of the King’s House on Schachen from the saddle. King Ludwig celebrated his August 25th birthday here every year. In honour of the king’s birthday, hikers and the king’s lordship hold a memorial service at the Schachen on August 25th. If you’re like to extend your hike, you can spend the night at the Schachen Mountain Hut (reservations are required in advance). Accommodations are very simple. I.e. shared bathrooms and no hot water. However staying in a mountain hut is a great way to experience the Alps Culture. I do it at least two or three times each year in the Alps. You’ll have a choice of trails, including peaks that you can ascend from the hut, extending your hiking time in this royal region. 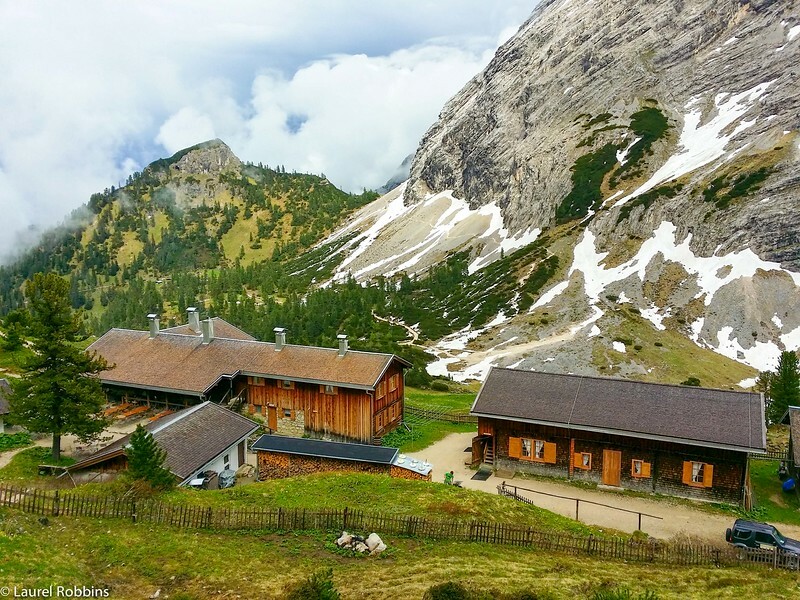 Schachenhaus, a mountain hut serving food, and where you can also spend the night. Private room in the Schachen Mountain Hut. 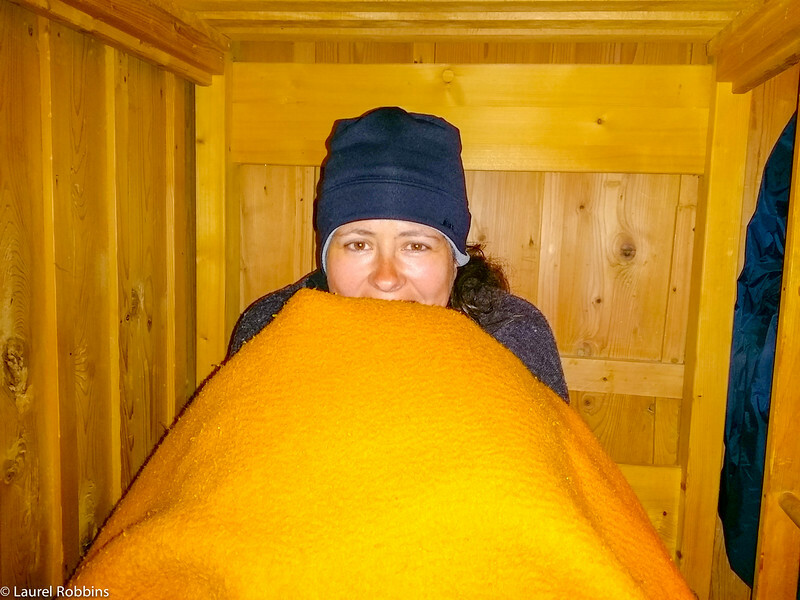 There’s no heat in the Schachen Mountain Hut and it was quite cold when I was there at the beginning of June. It’s just over 105 km from Munich and takes ~ 1:30 hours to reach Hotel Schloss Elmau. You’ll pass it on your left and continue driving until the end of the road when you reach a parking lot on the right. Note: This is a toll road so you will have to pay a small fee. Looking back on the King’s House on Schachen. Take the train to Klais. From there, the RVO bus leaves for Elmau every day. Note: If you’re doing this tour by public transportation you’ll need to spend the night at the Schachen Hut due to the infrequent public transportation. Alternatively, you could take a taxi from Klais to the starting point (under 10 km). Me on the return hike from the Schachen. I really enjoyed this hike. It’s a bit surreal to know that with each step you take, King Ludwig II has taken the same way. It’s also not very often that a king’s Pleasure Palace is waiting for you at the top. The views are fantastic and you have the option to take a different route down at the edge of a mountain. 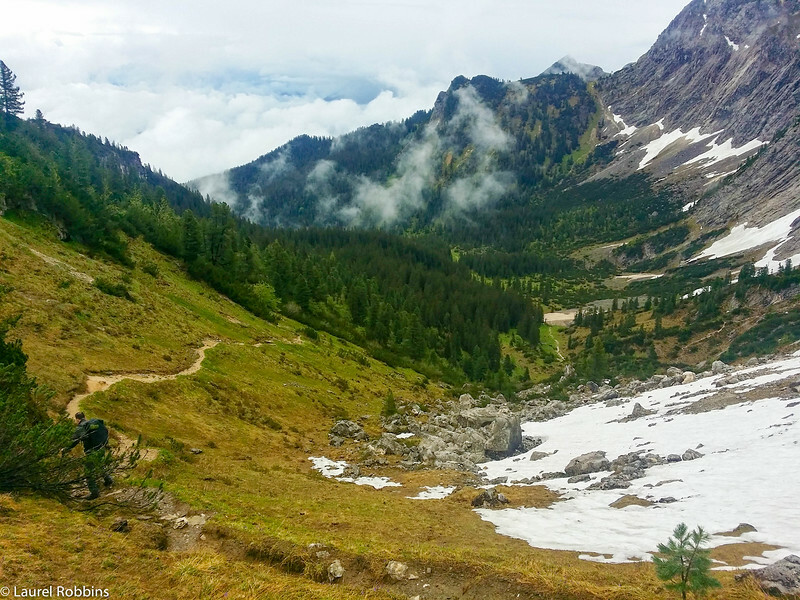 It’s definitely a unique hike and one of the top hikes that I’d recommend if you only have a few days in the German Alps. My other recommendations would be Höllentalklamm (Hell Valley Gorge) and the Parchtnachklamm. A great way of camping outdoor. Good work and I really loved your photos. Really Cool! Love your blog! I was amazed at how many countries you've been to. I have my own blog and have been to a few countries myself but not quite that many. I was also wondering if you had any advice for newer travel bloggers. I've never really asked for advice before but was just curious. I hope to make this into a career so I just want to be on the right track. Thank you! @Caleb - Thank you and congrats on starting your own blog. You may find this post useful: https://monkeysandmountains.com/travel-blogger-confessions.